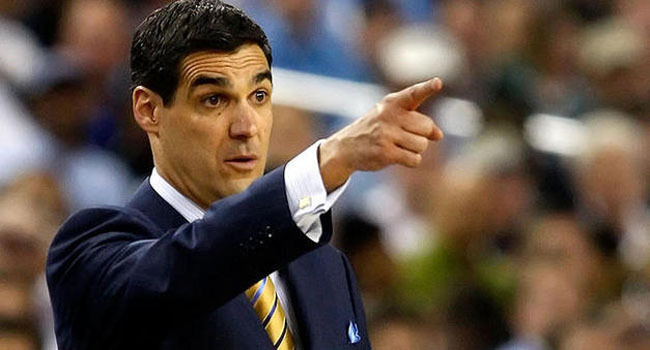 Jay Wright's Villanova Wildcats look to avenge an earlier loss to Seton Hall. The National Basketball Association is still on their All-Star Break which means I turn my attention to the college scene. Believe it or not, we are already getting close to conference tournament time for some of the smaller conferences and before you know it, the big boys will be on stage as they prep for the tourney. Seton Hall (+16.5) at Villanova – The Wildcats score five more points per game than do the Pirates and they give up five points less per game than does Seton Hall. That doesn’t bode well for the Pirates. Head-to-head the two teams have seen Villanova win seven of the last ten meetings but the Pirates own a two-game winning streak right now. Trends: Seton Hall is 1-11 straight up in their last 12 road games at Villanova… The Wildcats are 12-3 SU in their last 15 games against Seton Hall… The Pirates are 2-5 SU in their last seven road games… The Wildcats are 2-4 against the spread in their last six game at home versus the Pirates. The Pick: The Pirates rebound better than ‘Nova does so I like them getting the points but I like the Wildcats to win. Jamie Dixon and the Panthers have a tough assignment at Virginia. Pittsburgh (+13) at Virginia – The Panthers are coming off of a very important home win over North Carolina but this road test is a different monster altogether. Both teams are scoring in the upper 60’s each game but the Cavaliers are allowing a paltry 50 points per game defensively while Pitt gives 65 per game. The Panthers are a little board on the offensive glass than is Virginia but everything else favors the Cavs tonight. Trends: Pitt is 1-5 straight up in their last six road games… UVA is 1-5 against the spread in their last six games… The Panthers are 0-4-1 ATS in their last five road games… The Cavs are 13-1 SU in their last 14 games at home. The Pick: I like UVA to cover considering Pitt’s road woes of late. Kansas (+1) at West Virginia – There really isn’t a stat to point to in this game that makes you jump on one side or another. 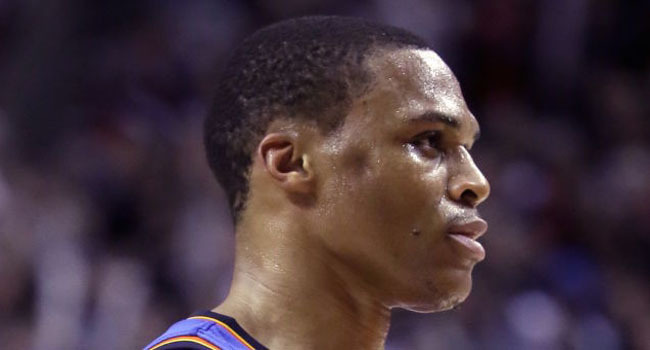 Both teams score over 70 points per game and both give up about 65 per game. KU is a little better on the defensive boards while the Mountaineers hold an edge in offensive rebounding. Trends: Kansas is 4-2 straight up in their last six road games… WVU is 15-3 straight up in their last 18 games at home… The Jayhawks have won three of the last four times they’ve played the Mountaineers… West Virginia is 1-4 against the spread in their last five games. The Pick: I like the Mountaineers to cover at home but I expect a close contest throughout. Clemson (+4) at Georgia Tech – This is a contest of two ACC teams who are not always used to being also-rans but that’s where they find themselves in 2015. The Tigers are 15-10 and are holding out hope of an NCAA berth but an NIT bid is more likely. Georgia Tech is under .500 and is going to need to pull off a miracle in the ACC Tournament in order to advance to the NCAA Tournament in March. Trends: The Tigers are 8-17 straight up in their last 25 road games… Georgia Tech is 2-11 straight up in their last 13 games… Clemson has won five of the last six games in Atlanta straight up versus the Yellow Jackets… GT is 1-5 against the spread in their last six games at home against the Tigers. The Pick: I love Clemson here getting the points. 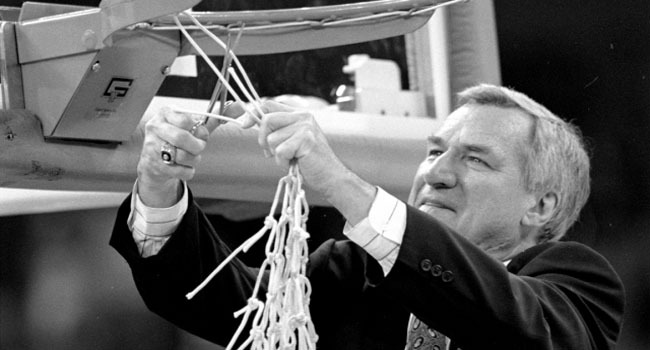 Hall of Fame Coach Dean Smith was one of the all-time greats but I think he should have cut down more nets. I could write much of what you’ve read already regarding Dean Smith who passed away this past weekend but I’m going to give you something else to think about. Yes, he was an amazing coach and even better person but my question is this; just how successful of a coach was Smith? He recorded 17 Atlantic Coast Conference Regular Season Titles and 13 ACC Tournament titles. He also coached his Tar Heels to 11 Final Four appearances and two national titles. Smith also revolutionized the game with his four-corners offense which took time off the clock and ushered in the creation of the shot clock in college basketball to combat it. Back to the question at hand though, could Smith have been better? 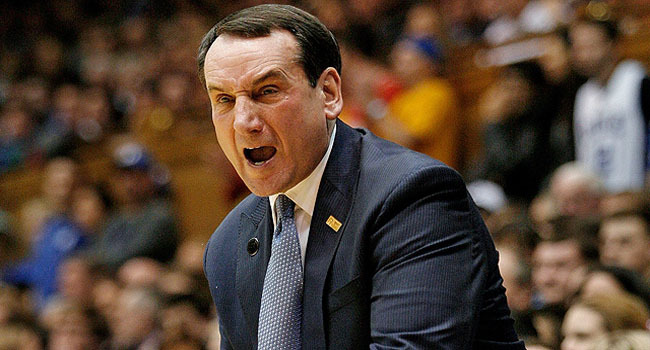 11 Final Fours is impressive and ties him for second all-time with Mike Krzyzewski and one behind all-time leader John Wooden but to win just two titles out of 11 leaves a little to be desired in my opinion. Consider also that his two titles needed ridiculously bone-headed plays by Chris Webber of Michigan and Fred Brown of Georgetown. Jim Calhoun of UConn won three titles in just four Final Four appearances. My goal here is not to kick the man when he’s just dying. What I hope is that perspective can be gained from looking at his overall record. Bobby Knight won three titles in just five Final Fours, legendary Adolph Rupp won five in six Final Fours, Krzyzewski has won four in his 11 tries and UConn’s Jim Calhoun won three NCAA titles in four trips. There are always many factors that must be considered in each coach’s Final Four appearances but in my opinion Smith’s Tar Heels often under-performed. My feelings nor the feelings of anyone else can take away Smith’s contributions to the game. Most importantly we cannot ever forget his commitment to bringing in black players to a southern university either. All that said, I believe Smith to be worthy of his Hall of Fame status but I can’t help but wonder if he shouldn’t have achieved more in terms of titles. If you haven’t seen the ESPN special feature on University of Michigan basketball player Austin Hatch then do yourself a favor and check it out. Take the name off of the jersey and just imagine this is a kid going to any major university in America. 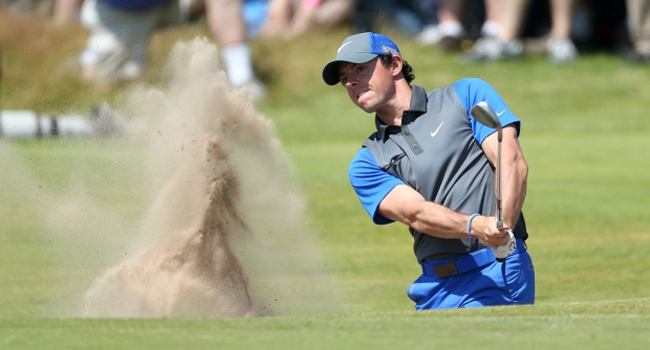 What he has been through is unbelievable and that’s putting it mildly. Head over to ESPN and check it out. While my dreams of seeing Virginia and Kentucky meet in the NCAA National Title game undefeated went by the wayside, I can still hope for some epic potential match-ups can’t I? Despite a serious scare from Florida yesterday, the Wildcats moved to 23-0 on the season. Obviously a one-loss Virginia team would still present a great title game but can you imagine if Gonzaga hooks up with the Wildcats? 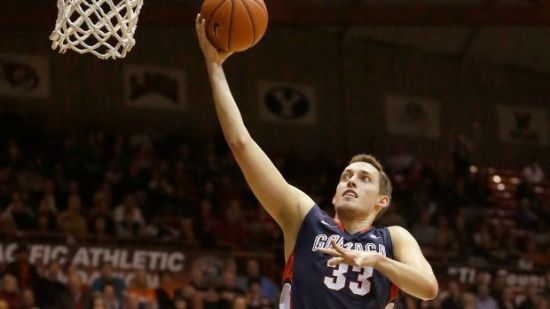 It would be a David and Goliath-type game despite how good the Zags have been recent years. Wisconsin would be a very intriguing match-up simply because of the overwhelming contrast in styles and we cannot forget the possibility of yet another Kentucky versus Duke thriller. There’s still a lot of basketball left to be played but the conference tournaments will be here before you know it so there’s still much to be decided. This weekend has a number of good college basketball matchups. After visits to the Elite Eight four straight seasons, it looks as if Florida will miss March Madness this season. The Gators are 12-10 straight and 7-13-1 against the spread. If they do not go to the Big Dance, it will be their first miss since 2008. 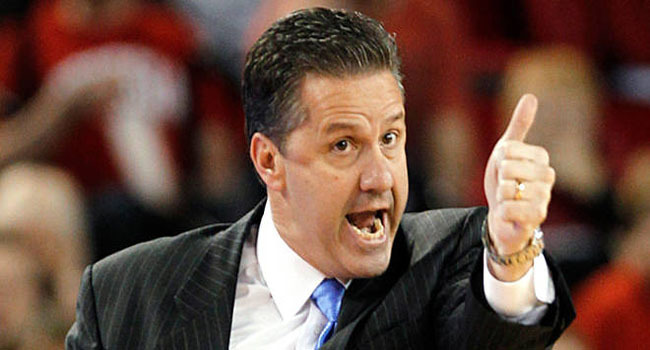 Nevertheless, if Florida can defeat the nation’s top ranked and undefeated Kentucky Wildcats they would be back in the bubble conversation once again. However, if the Gators lose then their only hope for postseason play is spelled N-I-T.
Kentucky on the other had is an entirely different story. 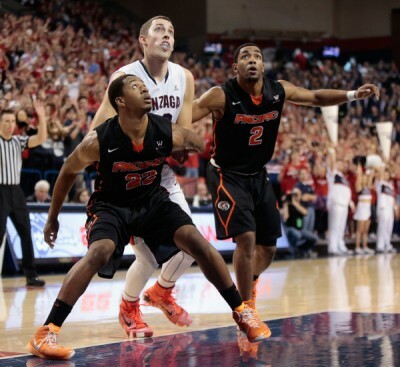 The Wildcats are an impressive 22-0 SU and 11-11 ATS. 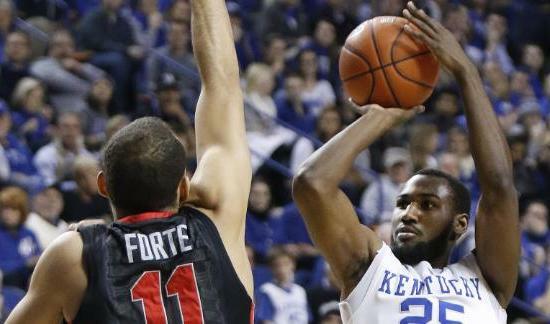 Kentucky defeated Georgia on Tuesday at home in its last game. The Wildcats did not look that well but sill won by 11. UK’s size is almost unheard of with three players who are 7-footers and six in all that are 6-foot-9 or taller. Arkansas could be without Michael Qualls its second leading scorer in its showdown on Saturday with Mississippi State. Qualls sprained a knee and is listed as questionable. Georgia could get leading scorer as well as rebounder Marcus Thornton back for its game on Saturday against Tennessee. Georgia is 0-2 without Thornton in the lineup. Alabama’s Rickey Tarrant, the second leading scorer is doubtful for the Crimson Tide’s games against LSU. He injured his leg in Alabama’s loss to Florida and has sat out two straight games. Georgia Southern leads the nation with a 12-1-2 against the spread record. 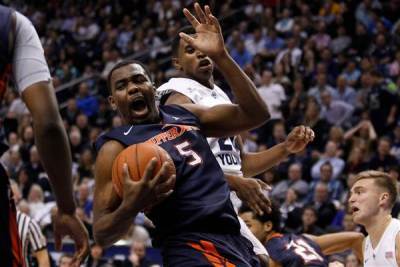 Pepperdine is 15-8 straight up and 15-4-2 against the spread with its 80-74 win on Thursday over BYU. Pepperdine swept BYU this season. The Cougars slim hopes of an NCAA bid were destroyed completely with the loss. Kourtney Roberson from Texas A&M is a question mark for the Aggies Saturday game versus Missouri because of an injury that has not been disclosed. As of late in the day Friday, it was unknown what the playing status of Malek Harris and Marcus Foster was. Both were suspended just prior to Kansas State’s game against Texas Tech. Already without Briante Weber their starting guard, VCU must face their opponents this weekend without Treveon Graham who is scoring over 16 points per game while grabbing 6.6 rebounds. He is doubtful against St. Bonaventure after spraining an ankle last Wednesday. The college football national champion has been crowned and now college basketball takes center stage. The field for the NCAA basketball championship has opened up as favorites have started to stumble during the ongoing conference schedules. Kentucky the No. 1 team in the preseason and through Monday of this week has started to shown some vulnerability. The Wildcats are struggling in their opening games of the SEC. 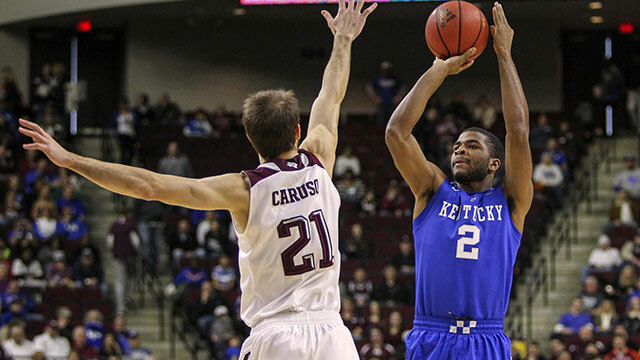 Kentucky is nevertheless 2-0 SU, but 2-0 ATS and has played three overtimes in its first two conference games. Duke was the No. 2 team in the country with most observers believing the Blue Devils were one team that could defeat Kentucky. 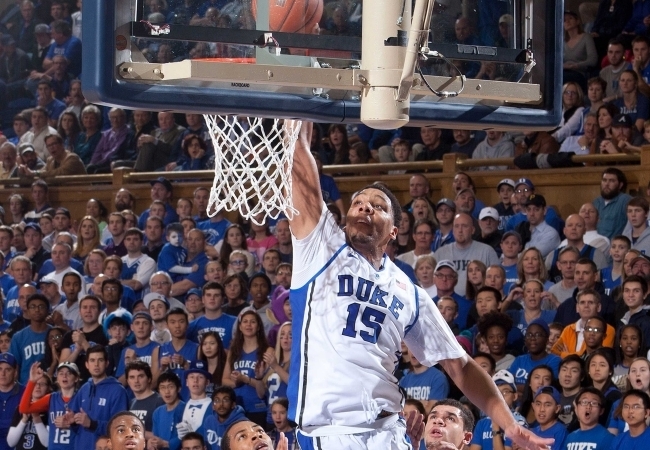 However, Duke lost to North Carolina State in an ACC showdown. Despite the best efforts of the media and fans, a national champion will not be crowned in college basketball in January or February. While Kentucky sitting at 10 to 11 and Duke at 8 to 1 are still the two favorites to be cutting the nets down in early April, it is far too early to write off a number of other legitimate contenders. Virginia is with Duke heading the list of teams just below Kentucky. Wisconsin lost as home favorites 80-70 against Duke this past December, but neither of the Badgers two losses clouds anyone’s perception of Wisconsin being a legitimate title contender. The Badgers have an efficient offense, experience and size, led by Frank Kaminsky the 7-footer. The Badgers also have the seventh best scoring defense in the nation, giving them the ingredients needed to win the national championship. When it comes to defense, Virginia can boast the top scoring defense in the country and will have their shot at Duke when they play host to the Blue Devils January 31, likely entering that encounter at the top of the ACC standings with the Blue Devils. Of course, more than half of January and all of February remain before the conference tournaments take place followed by March Madness. However, there should be shifting in the top 25 and on the national championship futures board, as teams get deeper into their respective conference schedules.